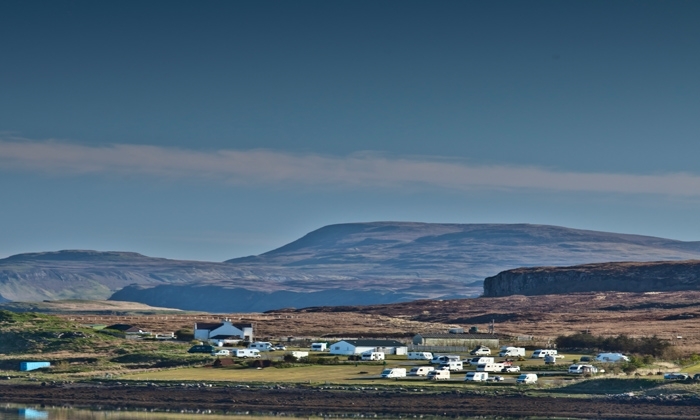 Welcome to Skye Camping and Caravanning Club Site in Greshornish, on the beautiful Isle of Skye. 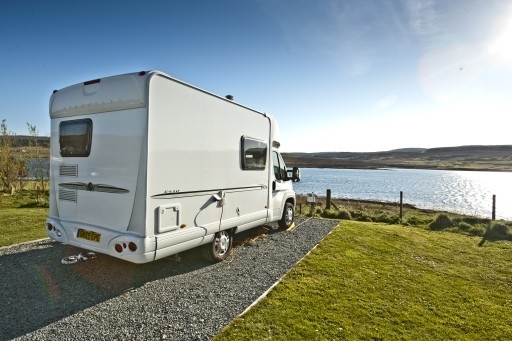 Head to Loch Greshornish on the beautiful Isle of Skye and you’ll find Skye Camping and Caravanning Club campsite. It boasts an idyllic location right on the loch shore where campers enjoy stunning views over the water to the hills beyond. The campsite is on a working croft. Magnificent Highland cattle and sheep graze close by and you can buy fresh laid duck and hen eggs at the site shop along with most essentials. 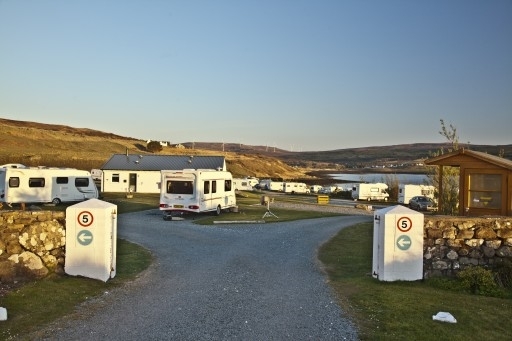 There are hardstandings for caravanners and motorhomers with plenty of these pitches enjoying the views. 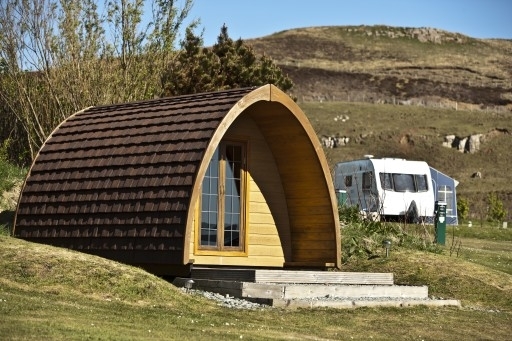 You can go glamping at Skye campsite too. 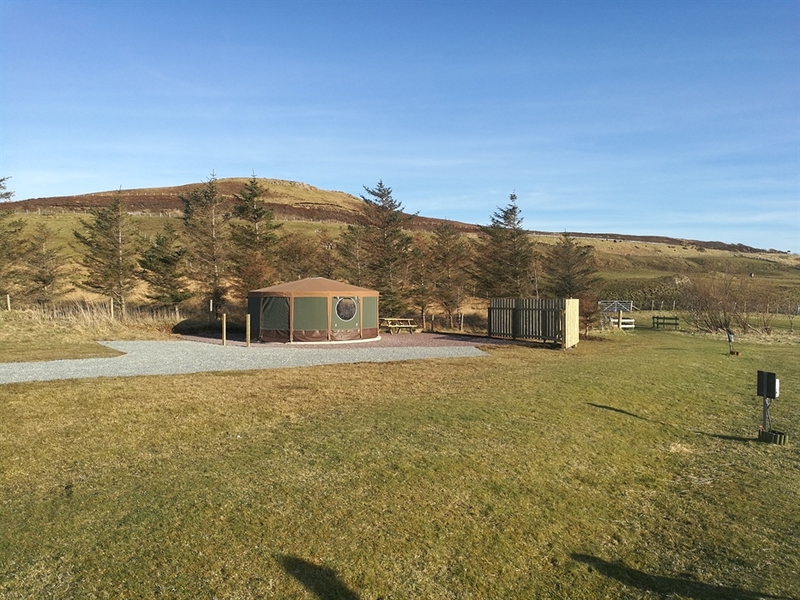 Two camping pods provide cosy accommodation for those who perhaps fancy leaving their own units at home. In addition, you can now enjoy a yurt camping holiday. 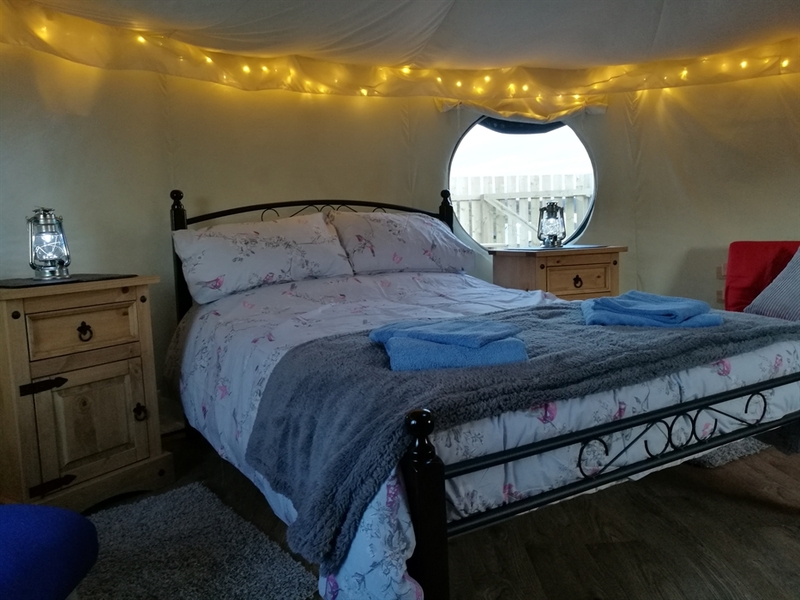 Skye offer two glamping Yurts which will sleep two adults and two children and one of them is pet friendly (at no extra cost). A visit to Dunvegan Castle on the Isle’s west coast is a must. It sits on a rocky outcrop betwixt sea and manicured gardens. Seal spotting boat trips operate from the castle jetty. Not far from the castle Caligan Coral beach is a fantastic place to spend the day. Portree is the main town on Skye, set round a harbour you’ll find the Aros Centre. As well as theatre, films and concerts it’s here you’ll find out more about the Isle through a series of exhibitions.